Day 84. Post a Day 2011. Michael Strogoff is a 30-year-old man. One day he got a duty from the Tsar of Russia to send a message to his brother, the Grand Duke who was the Governor-General of Siberia. The message was a warning that a traitor, Ivan Ogareff, might infiltrate his territory by being undercover and would destroy the city by cooperating with rebels from Tartar. Journey itself was not easy. From Russia to Irkutsk was a long distance and many hindrances were already laying ahead. Extreme cold weather, difficult grounds to be traversed, spies, and the Tartar. But since Michael Strogoff was a native of Omsk, he was accustomed to the weather and the regions between Russia and Siberia. He was strong and built man. He could endure extreme pain and any kinds of torture. In short, he was the perfect man for this duty. He was the iron man! This book was about the journey of Michael Strogoff. About any obstacles he faced along the way to Irkutsk. On his way, he met Nadia whom later became his travel companion and he met Ivan Ogareff himself! Before reaching Irkutsk he met Tartar many times. The first time he was detained and became the prisoner. Luckily, he could escape. But, unfortunately he became blind because of torture from the Tartar. After that he and Nadia met Tartar several times and lucky for them for they escaped from Tartar again and again. Michael Strogoff offers you a suspense. I was thrilled reading his journey, especially when he got chased by Tartar or when his eyes were burnt by Tartar. I was moved when he and Nadia continued their traverse, Michael was blind and Nadia was the eyes for Michael. And I became so happy when finally they made it to Irkutsk! But, I was so upset when I knew Ivan Ogareff was in Irkutsk, too. Huh! Jules Verne was a brilliant writer. He writes details without being long winded. This is what I conclude after reading Michael Strogoff. 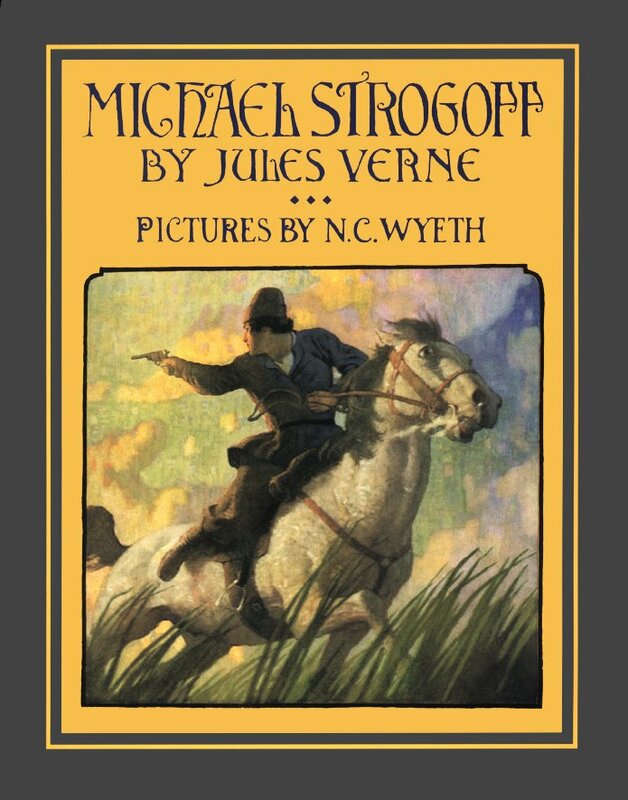 In details Verne described all the region that was traversed by Michael Strogoff and that made me could imagine it perfectly. And that what makes this book is worthed to read. From 1 - 5, I give 5 for Michael Strogoff. p.s. : The picture was taken from here. lebih baik review pake bahasa indonesia. is it OK if a 12 year old boy read this book? Kalau malas ya tidak apa-apa. BTW, tujuan saya menulis pakai bahasa Inggris adalah untuk melatih kemampuan bahasa Inggris saya. Keseharian saya jarang sekali menggunakan bahasa Inggris. Sedangkan bahasa itu kalau tidak digunakan kan nanti lama-lama lupa. Nah, salah satu media saya untuk berlatih bahasa Inggris ya melalui blog.